It is in our intention in this open style “Guardians of Ryukyu” weekend to expose ancient techniques and secret combinations hidden inside our martial arts styles by means of exquisite, internationally acknowledged Grandmasters and Sifu/Sensei. This years Sensei and Sifu’s have an undisputed reputation of being among the “martial best of the best” and studied for many years under internationally known Masters and Grandmasters. It is very rare to have this kind of accumulated international experiences on one Tatami during a whole weekend! 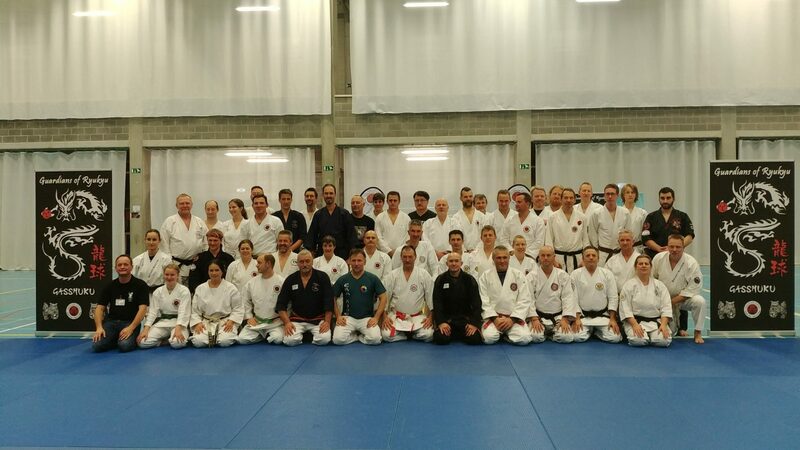 On Friday we will host the “Guardians of Ryukyu Kyusho Jutsu” seminar in the evening, on Saturday we will have our main event the “Guardians of Ryukyu Gasshuku” on one giant tatami the whole day, and on Sunday the privately invited budoka’s can enjoy the “Guardians of Ryukyu Motobu Ryu” seminar in the morning … . That’s a lot of “guardians” stuff 🙂 concentrated in one weekend on one location, check out our overview below or click on the navigation bar to continue your visit. Hope to meet you soon… .